Being a leading firm in this industry, we are deeply engaged in offering a high-quality range of Icing Sugar Powder. Icing sugar is a fine, powdered form of white sugar. that is used for making icing and sweets. it is also called confectioners’ sugar, icing sugar, and icing cake. Powdered sugar is exactly what it sounds like: sugar that has been ground so fine that it becomes a powder. This type of sugar is used in meringue pies, some icings, and toppings for pastries. Icing sugar is very fine white sugar. 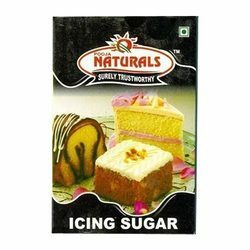 Being a leading firm in this industry, we are highly engaged in offering a best quality range of Icing Sugar Powder in india. it comes handy while preparing juices, milkshakes or any cold beverages. 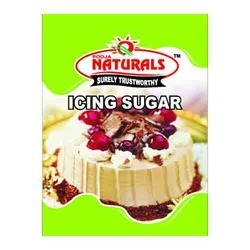 Pooja Traders are renowned Icing Sugar Powder Manufacturers, Suppliers in Ahmedabad, gujarat, india. it is prepared by grinding white sugar into a very fine powder. its ability to easily dissolve in water. Increases the volume of meringue products. It has no cholesterol.It is fat-free. Looking for Icing Sugar ?